Hooray! After an almost craft-free year of toddler-rearing, I am excited to announce some actual crafty news. 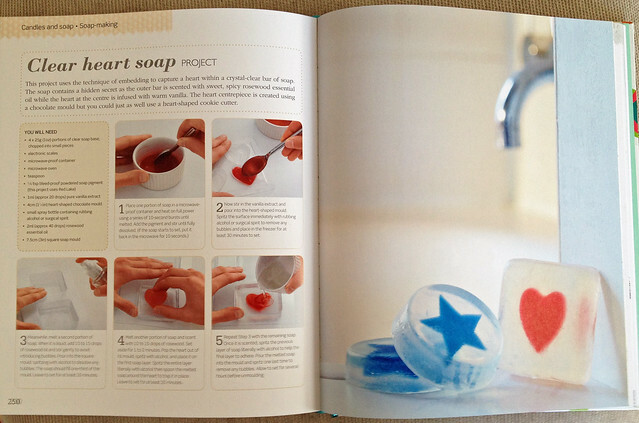 Readers with a very good memory might remember me mentioning that I took on a small job with Dorling Kindersley last year to author the soapmaking chapter of their new all-round Craft Book. Fast-forward by 12 months... and ta-daaa! The book has just been released in time for Christmas 2012. As you can see, they have gone for the same 'vintage-style' cover design as the partner book entitled Dressmaking. It was such a lovely surprise when my copy landed with a heavy thunk from the postman last week. 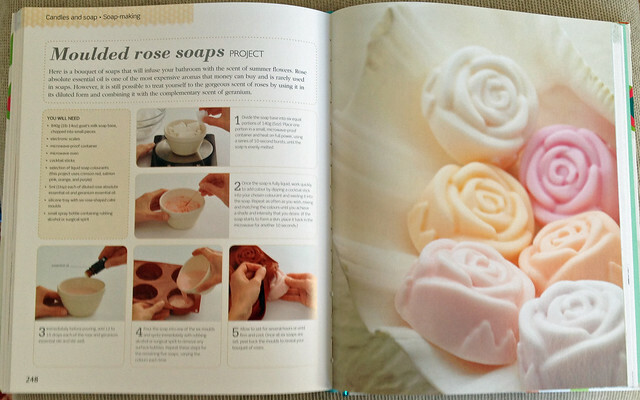 Now that I've had time to take a good look through it, I'd say it's looking like an ideal book for multi-crafters and anyone who likes to try their hand at different things. The crafts include a very wide range of pursuits, including furniture-painting, wirework, sillk and glass-painting, metal-clay moulding, patchwork and lots more. 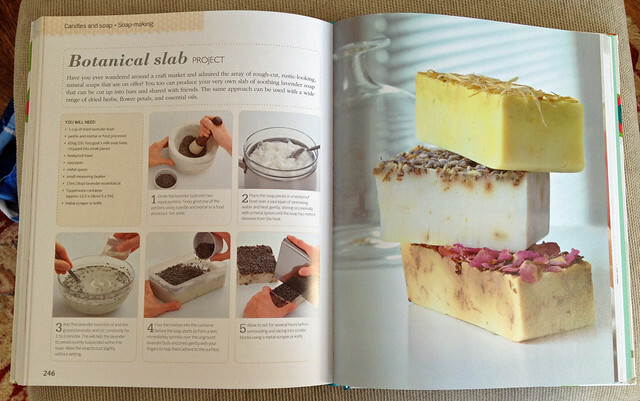 Each chapter starts with a clear step-by-step how-to guide on the craft in question, followed by a series of specific projects to make at home.